Superdry women's Broderie Chino Shorts. 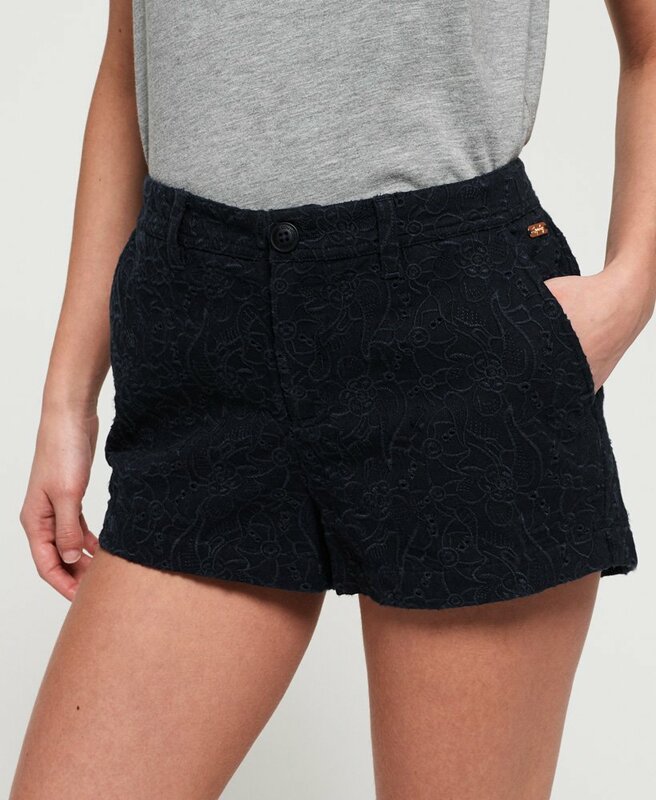 These shorts feature a button and zip fly, four pockets and an all over embroidered design. Finished with a Superdry logo badge above one back pocket and a metal Superdry badge on the front. These shorts are a must have for your wardrobe this season.